In order to provide better services to our stomach and treated in accordance with the security and privacy risks, the Hungarian coin shop occasionally called cookies. The cookie makes it easier to use certain features that will help the management of websites becomes more convenient and efficient for the user. A cookie is a small data package, which can be stored in the web server to the users computer webbpage. This can be a useful tool to the browser program record certain information that later can call up the web server. While browsing the Web browser will be placed on each cookie. When the user exits the browser, some cookies are stored in the computers memory in a cookie file, while others expire or disappear. All cookies have an expiration deadline. A cookie is a specific browser on a specific computer is positioned so that when a user is working on another computer, where the cookie will not be found. Cookies help solve such as the fact that the browser stores the registration information in order Magyar Érmeboltnál happened is that the user would not have to enter each visit. A cookie is used to store individual settings that the user provides data aggregation and presentation in respect of a preference. The usage monitoring with the help of US coin shop can monitor which sites take it and be established on this basis, and deduced that what interest you. 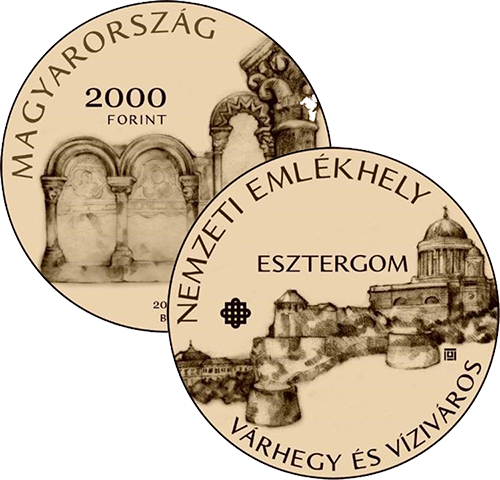 This can help the Hungarian Érmeboltnak that the content of the Hungarian coin shop to be fresh and interesting. Cookies can not be used for someone to read data off your hard drive, get e-mail ID, or to obtain a sensitive or personal information about you. Private information may be just as well in a cookie file if you personally hand over the information to a Web server. In addition, any cookies that only the server can accommodate read so strange servers can not read and do not steal the contents of a cookie, which you have previously accepted. Please also be aware that placing cookies or use of computer viruses can not be transmitted. If you are a visitor and you want to disable the acceptance of cookies, you can set your web browser. Hungarian coin shop / Euro Full Bt (hereinafter the Company). c) in the case of § 3 3. b) information that regulation on the law orders the end, based on the public interest. b) the purpose of the data controller or a third person having a legitimate interest pursued if it is of interest to enforce this restriction of the right to personal data protection ratio without further specific consent and even after the withdrawal of the consent of the relevant manage. directory (6) The request concerned the initiative launched in judicial or administrative process personal data necessary to complete the procedure with regard to her request, he launched another case of specified personal data shall be presumed to consent. directory (7) shall be deemed to consent in respect of which it has disclosed personal information or disclosures it provides during the public appearances concerned have been granted. In case of directory (8) in doubt, it shall be presumed that the person did not consent to. A) register: name, email address, or company name, address, billing address, shipping address, phone number, or fax number, password. C) A newsletter service on: All data given at registration, voluntary choice of the newsletter, newsletter registration at any time you can cancel your personal page. The purpose of processing 5 a), b) registration specified in, and megrendelésnél- purchasing, customer relationship between the controller and relevant to data management simplification, it is necessary to ensure the contract is governed by the agreements made in doing so the law can be met by the parties. The purpose of processing the 5th c) newsletter service cases, new products arrival of important numismatic news to find the information, discount opportunities, data changes, etc ....... required. permitted by law, or compulsory transfer of data. Data management continues until the data management involved in the deletion of data from the data controller does not initiate, for using the newsletter service by unsubscribing from the service did not initiate. The purchase was made during the account specified by the customer during registration and recorded data is stored in a specified period of accounting regulations. her request to the data management gives the controller information under its management or a contracted data management purpose, grounds and duration of the data processing name, address and activities related to data management, as well as on who and for what purpose receive or received the data . If the controller request to do so in writing within 20 days is required to provide the information, which was once free, the above cases occur each year, 3,000 HUF a cost. In any inaccurate personal data corrected by the controller is required. cancellation of the court or the National Authority for Data Protection and Freedom of Information ordered. The data subject may object to treatment on grounds specified in § 21 of the Act to the processing of personal data. c) Act. directory (2) The manager of the protest as soon as possible after the submission of the application, but not later than 15 days examine the merits of the issue to make a decision and inform the applicant of its decision in writing. directory (3) If the data in the protest concerned the merits of the Notes data management - including further data collection and data transfer - and the data is locked, and the protest and notify all measures taken on the basis of whom the objection previously transmitted personal data concerned and who are required to take action to enforce the right to object. directory (4) If the data subject, the data controllers decision taken in accordance with paragraph (2) does not agree, or if the controller deadline referred to in paragraph (2) fails, the question - the decision is notified, and the last day of the deadline date of 30 within days - in the manner specified in § 22 may go to court. directory (5) If the data necessary to validate the data importer has the right not receive because of the protest concerned, within 15 days of notification of the under paragraph (3) a notice to comply with data access - as specified in § 22 was - go to court against the data controller. The controller can also call prosecute the person concerned. directory (6) If the data controller fails to notice under paragraph (3), the data request receiving information about the circumstances of the failure of the data transmitted from the controller that information required to be made within 8 days of the request for the data controller to the data receiving delivery. For information, if requested by the data importer may go to court against the data controller within 15 days of entering the information, but no later than the deadline date were standing open. The controller can also call prosecute the person concerned. directory (7) The manager of data involved can not be deleted, if the data processing ordered by law. The data, however, the data can not be transmitted to the recipient, if the controller agrees with the objection or protest the court justified. In case of violation of the rights of the affected data management to court specified in Section 22 of the Act, they followed. 21st case pursuant to § (5) and (6) the legality of the transmission of data to the data importer is obliged to prove. directory (3) 29 per guest competence of the tribunal. The lawsuit - that the election in question - the place of residence or tribunal in the place in question commenced before. directory (4) The lawsuit may also be parties who otherwise have no contentious legal capacity. Authority to intervene in the lawsuit in order to be successful in question. directory (5) If the court accepts the application, the data controller of the information to enter, data rectification, blocking, deleting, the decision on automated processing of data destruction, taking into account the right to object, and the data importer as defined in § 21 in data requested by the issue requires. directory (6) If the court in the cases provided for in § 21 of the data importer rejects the request, the data controller is obliged to delete the personal data concerned within three days of notification of the judgment. The data controller shall delete the data even if the data recipient does not occur within a specified period (5) and (6) of § 21 of the court. directory (7) The court may order a judgment - the controller to identity the publication of - disclosure, if it is a larger number of affected interests and privacy rights require protected by this Act. Headquarters: 1024 Budapest, Szilagyi Erzsebet fasor 22 / C.
In order for the data management of the data controller of personal data, stakeholder orientation to promote the official register (hereinafter referred to as the Data Protection Register), the National Authority for Data Protection and Freedom of Information leads. Data Protection Authority will not lead to a record of Privacy Act in paragraph of § 65 (3).